We've included listings for companies such as Inline Fiberglass Ltd and Columbia Manufacturing Corp. inside our Patio Doors guide. California company has been manufacturing wooden screen doors for a century. Doors in oak, mahogany, fir and poplar are now available through large lumberyard chains. While you can't buy a Marvin window or door directly through its website, you certainly can learn a lot about this well-known manufacturer's diverse line of windows and doors - including a line of replacement windows. Specialists in custom wood screen and storm doors, including an innovative pet door. Also sell plans and speciality screening. Family owned company designs and manufactures energy efficient windows and doors in a variety of styles for replacement or new construction. Located in Toronto Canada, Inline makes high performance fiberglass windows and doors. Products come in five standard colors, two-color split combinations, plus custom colors. Also available: Windows and doors with oak interior and simulated divided lites. One of the nation's largest window and door manufacturer, this company offers a variety of lines of stock and custom products. Since 1957, a maker of vinyl windows and vinyl doors. The company's products are available through a distributor network. Retractable screen doors; plus screen systems for French doors, sliding patio doors, windows and skylights. Since 1960, this company has grown from a small Oregon millwork plant with 15 employees into a multinational window and door maker with 150 divisions and 20,000 employees. Founded in 1947, Alside is a leading maker of vinyl siding and accessories, vinyl windows and patio doors, and fencing and railing products for the residential and commercial remodeling and new construction markets. You can buy in person or online from this rural Maryland retailer of hard-to-find parts for new and obsolete windows and doors. Company also supplies obscure parts for items used in schools and other institutional settings. This site offers replacement parts for steel and storm doors from a variety of manufacturers. Manufacturer of triple track storm windows and doors, available in custom colors and shippable anywhere in the U.S.
Windsor makes a full line of windows and doors in traditional wood, aluminum-clad wood and vinyl. 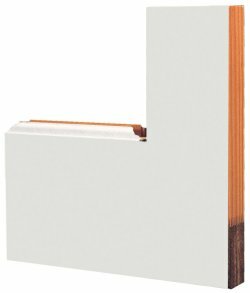 It also makes sash replacement kits in prime wood, aluminum clad or PVC. Website shows product line, and includes dealer locator. 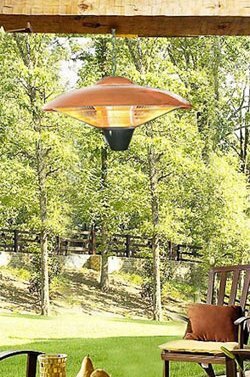 Hanging patio heater operates silently and efficiently. Water Barrier protects wooden doors from the elements.